In his book ‘God First: A Retreatant’s Pocket Companion’ Paramahansa Yogananda writes that the purpose of a Self-Realization Fellowship Retreat is to help us feel an awareness of the indwelling Spirit which resides in us all. By taking time out of our busy lives to think of God we develop a deeper and more personal relationship with Him. Some go on retreat to rest and try to find inspiration and spiritual renewal. Others may be seeking solutions to problems that can only be resolved by deep reflection, understanding and inner guidance. 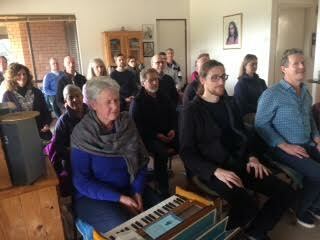 Perth Meditation Group holds calming weekend retreats twice yearly opposite the ocean in Shoalwater, one hours drive south of Perth. We also enjoy one day silent retreats at members' properties in the bush in Bedfordale, rural Irishtown and Mandurah. Our weekend program at Shoalwater begins on Friday night with a shared meal and meditation service. Silence begins after dinner and continues until lunch on Sunday. There is a perfect balance of exercise, chanting, meditation, SRF readings and free time. The group also enjoys a video talk by a senior monastic on topics relevant to our spiritual growth. Often people contemplating the prospect of a silent retreat say “I couldn’t possibly not talk for that length of time” but those who do participate say they feel a beautiful inner peace and closeness with other devotees during and after the retreat. The value of silence cannot be understood except through experience. Please contact Jannette P: 0405 182 741 or E: janobarr@gmail.com for information regarding the one day retreat in Mandurah. Please contact srfperth@gmail.com or phone 0487 910 081 for further details. ‘Joy that rhythmically changes all the time ... is what all of us are seeking. 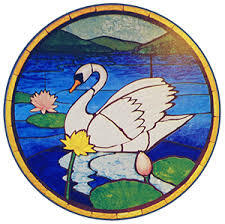 Such joy can only be found through regular deep meditation’ (Paramahansa Yogananda in Divine Romance page 45). ‘I repeat Thy name on mystic beads fashioned of my crystal teardrops and polished with my love for thee. Come Spirit Come!’ (Whispers from Eternity, page 12). Let me hear Thy voice, O God. In the cave of meditation I will find perpetual celestial happiness within. Then peace will reign in my heart whether I am in silence or in the midst of activities. (God First: A Retreatant’s Pocket Companion).